If you had been reading our blog, you would probably would have joined us in Facebook for regular blog updates or even follow us on Instagram to see what we are up to every now and then. Do you know that we have a Youtube Channel as well? 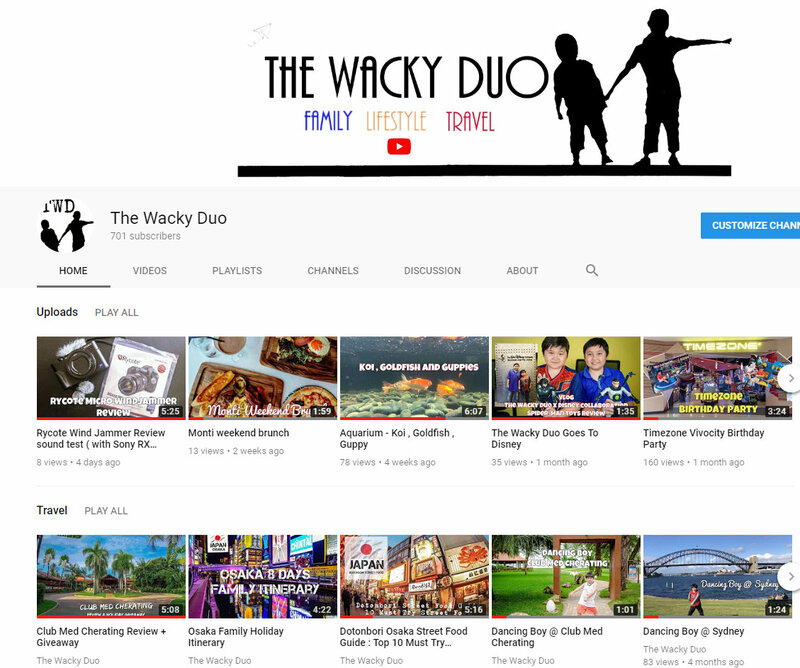 With contents mirroring the blog, Our Youtube Channel is mainly an outlet for us to showcase our holiday travels, events and our regular outings at Arcades and carnivals. Since we hardly promote the youtube Channel, we have a paltry 488 subscribers on our channel. This year, we aim to be more active in Youtube, it will be great for us to have your support. They says a picture paints a thousand word. We think a video will do much more to what we had been up to. Our target for this year.... 1000 subscribers! Still undecided, here are a glimpse of our recent videos we took. 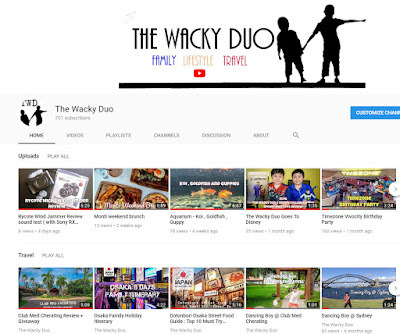 Hope to see you at The Wacky Duo Youtube Channel!